Words by Cyclelikeagirl. Photography by Andy Rogers and Simon Atkinson. 22 women. 8848m elevation. 280 km distance. Almost 24 hours of riding. We talked with Verita Stewart, one of the brave ladies that took on the largest ever group ‘Everesting’ attempt. 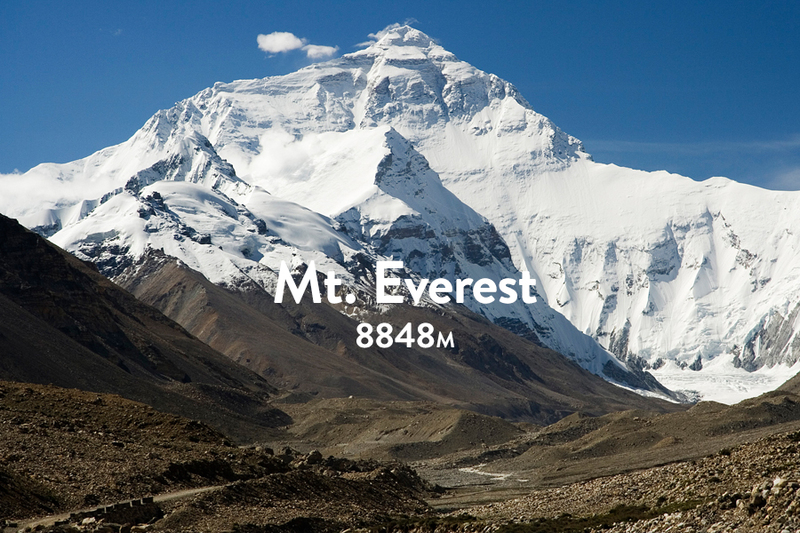 If it was possible to summit Mt Everest on a bike, cyclists would find a way. Unfortunately until someone paves a road up there and invents waterbottle sized oxygen tanks, the challenge of the summit will forever remain an unattainable dream. However there is now a cycling phenomenon where cyclists emulate this inconceivable challenge by ‘everesting’ their chosen mountain. On the 7th Feb 2015, 22 women selected by Hells500 for their excellent climbing ability, sheer grit and unassailable determination set out to do just that. ‘Everesting’ – an extreme vertical challenge and new sufferfest concept was launched just under a year ago by Hells 500 founder Andy van Bergen. 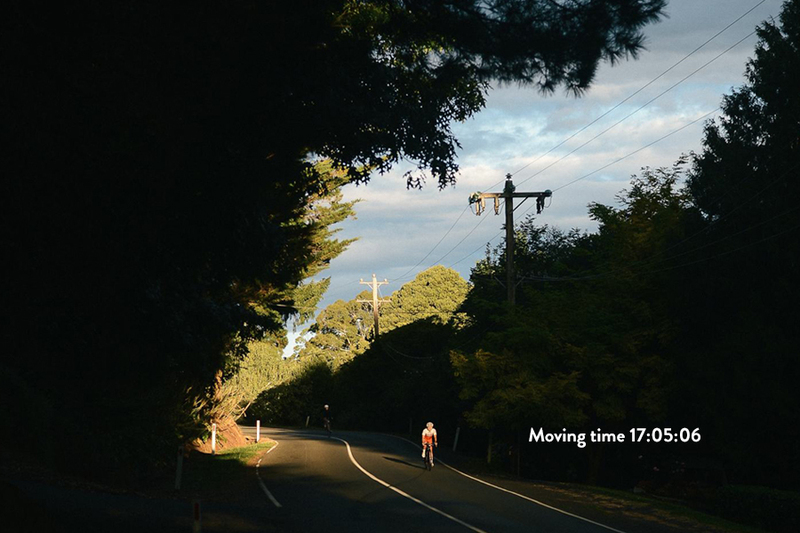 Andy was inspired by George Mallory, who, following in the footsteps of his Grandfather, a british mountaineer, trained for his own Mt Everest expedition by repeatedly cycling up Mt Donna Buang just outside of Melbourne, Australia until he hit 8,848 metres of ascent in one single ride, equalling the highest mountain in the world. A huge buzz around ‘everesting’ has been circulating the cycling world with riders taking on their own local mountains (or steep streets) over and over again in a grueling one day ride to hit that magic number and claim their Everesting title. The Everesting Cycle Club explains the rules in depth and records the world wide Hall of Fame for each of the first riders to conquer an everest on a specific climb. 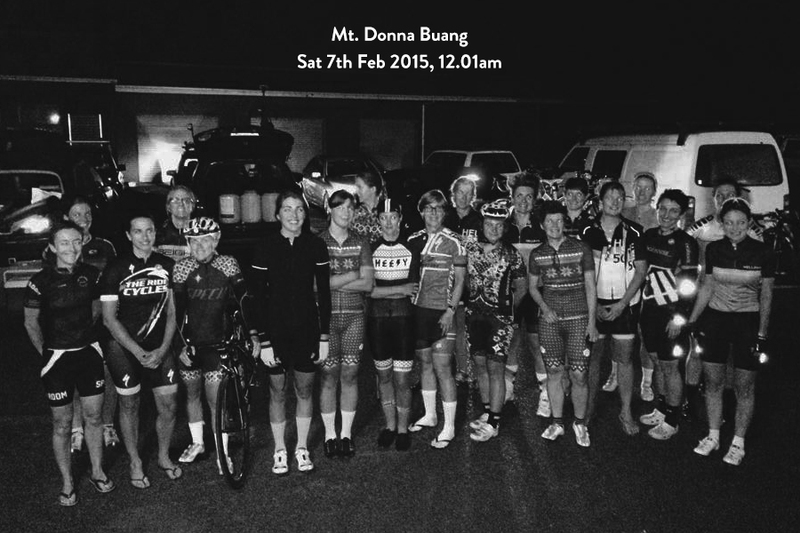 22 inspirational ladies turned up the heat, when on February 7th 2015 they attempted the biggest ever mass ‘Everesting’. The event rather fittingly took place at the origin of Everesting, and involved the women simultaneously climbing the mountain a massive eight and a half times, covering over 280km in up to 24 arduous hours of effort. Verita Stewart (pictured in title) rides for Specialized Securitor Women’s team and is a true ambassador for women’s cycling. 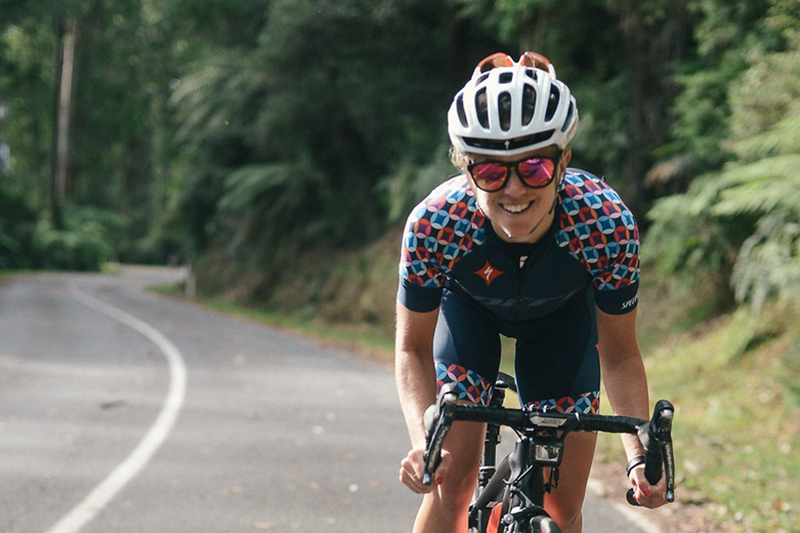 She was one of the amazingly tough women who took up the challenge after receiving the invitation from Specialized Australia, who are active supporters of women’s cycling. 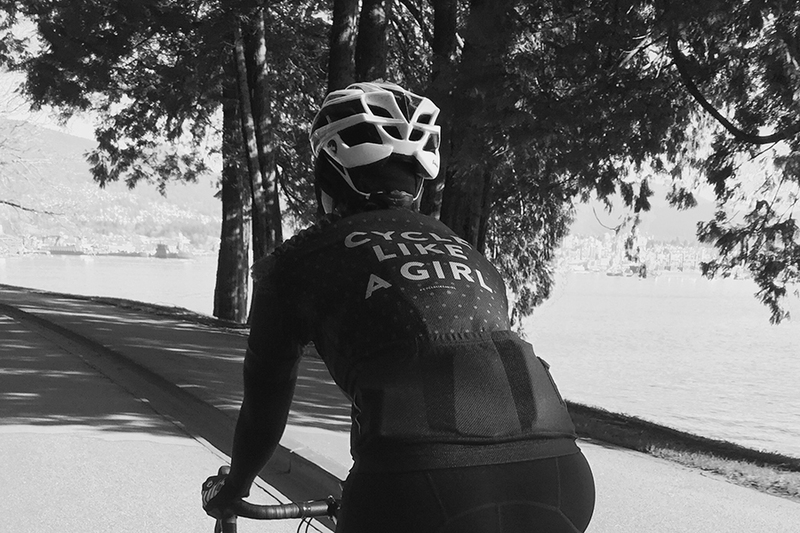 Cycle Like a Girl was in touch with her before, during and after the event to try and get some insight into how you begin to tackle such an incomprehensible feat, both physically and mentally. 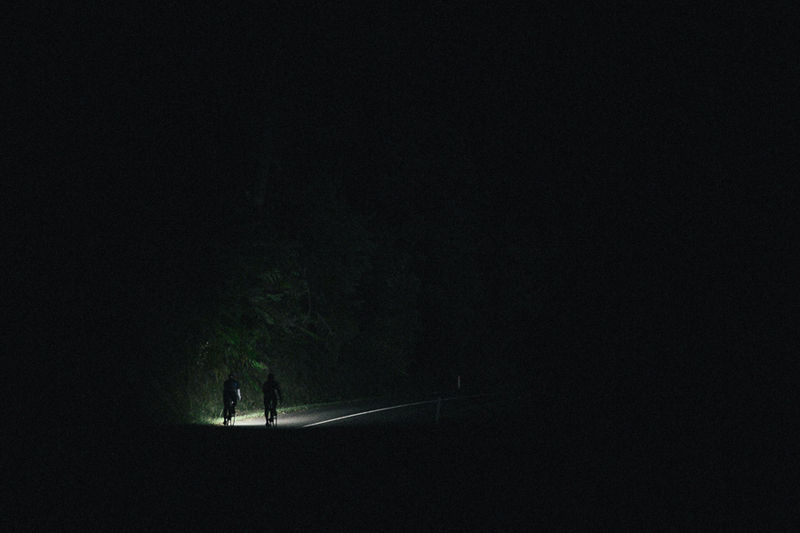 Just after midnight (12.01am by Verita’s strava) on the morning of Feb 7th 2015 the riders set off in complete darkness into the unknown. After climbing lap number one, 17km on a 6.4 percent gradient, the women faced the first of their 3 descents in darkness, putting the descent training that they had received in preparation for the event to the full test. Darkness wasn’t the only obstacle however as even with a balmy 25c degrees at the base and 19c at the summit, each 17km descent left the riders cold and struggling to keep themselves warm. With the first 3 laps under their belts by roughly 6am the riders were happy to see the sun come up, and it was time for a quick rest and refuel. The goal was to tackle the challenge in 3 blocks of 3 laps with breaks for food and extra water in between. When riding for such a long time, nearly 24 hours in some cases, it was extremely important for the riders to stay well hydrated and nourished. 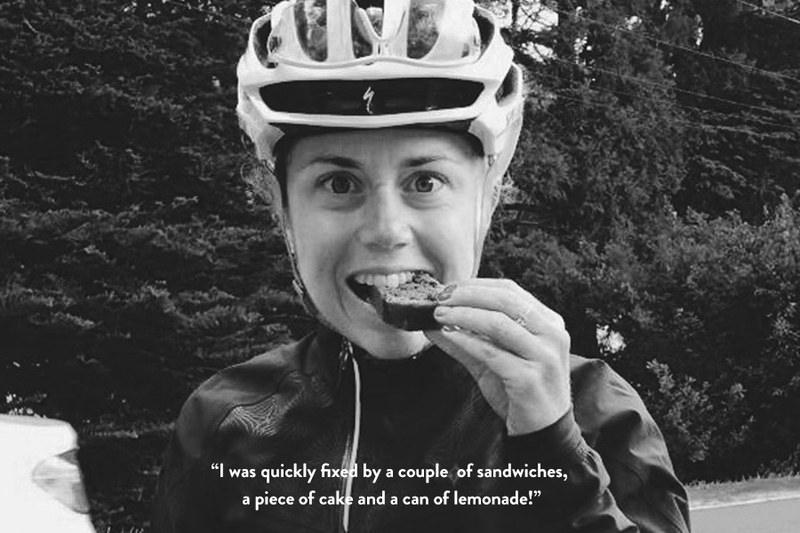 Verita stressed the importance of ‘real food’ and replaced bars and gels with homemade apple cake, bananas and sandwiches. A huge amount of support was on hand for the riders as in parallel to the 22 Everesters challenge, Domestique Cycle Club organized a domestique ride where over 400 riders showed their support by joining for a lap or two to give encouragement and high fives to keep the girls motivated and happy. 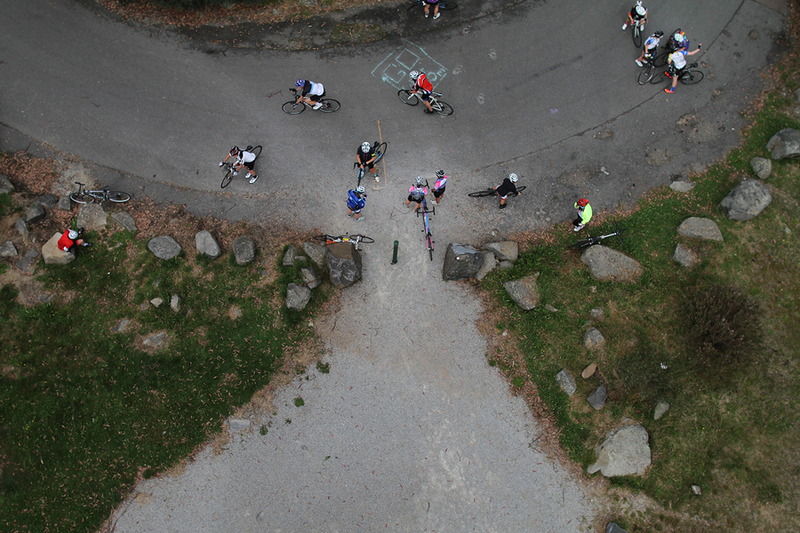 An additional 75 non-cycling supporters also made sure the riders were never alone on the mountain! Verita was joined by her partner, her coach, training and cycling friends and had support till finishing her last lap! By 11pm on Saturday evening an incredible 20 women had finished their everesting attempt, which was well above the usual everesting success rate of 50% that Hells500 described. Both women who had to make the tough decision of dropping out still hit a seriously impressive 6,000 meters of climbing! 3 Women also decided that 8,848m wasn’t enough and kept riding until they hit 10,000m! 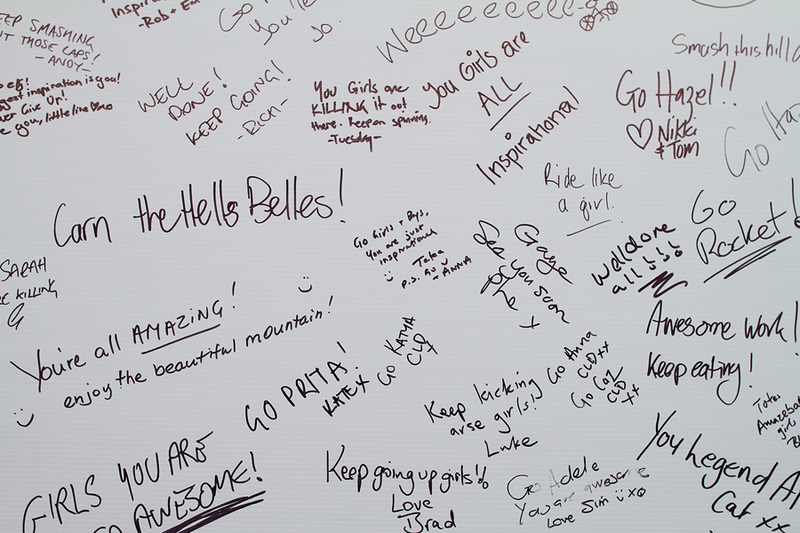 Our hats off to all of you, if ever women’s cycling needs inspiration you 22 ladies are it! It seems the most incredible aspect of this event, aside from the mammoth challenge being undertaken was the hugely positive and supportive atmosphere created by every ‘Everester’, cyclist, supporter and friend who kept spirits high from the darkest moments of the early cold night descents to the exhausted relief of the last riders to cross the line. The following day, Verita was back on her bike as if nothing had happened, prepping for the Oceania Women’s Road Race in Toowomba QLD the following weekend.